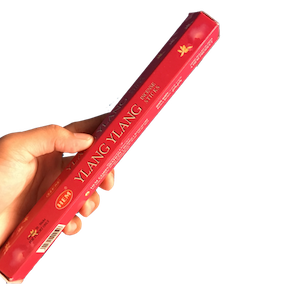 Buy Ylang-ylang Incense Sticks from the #1 seller of organic incense sticks in the Philippines. Seven inch, organic incense sticks made with Ylang-ylang essential oil. Each stick burns clean for about an hour. 20 sticks per box.